FUDCon Zurich is unfortunately over and I haven’t posted anything excepts day one! 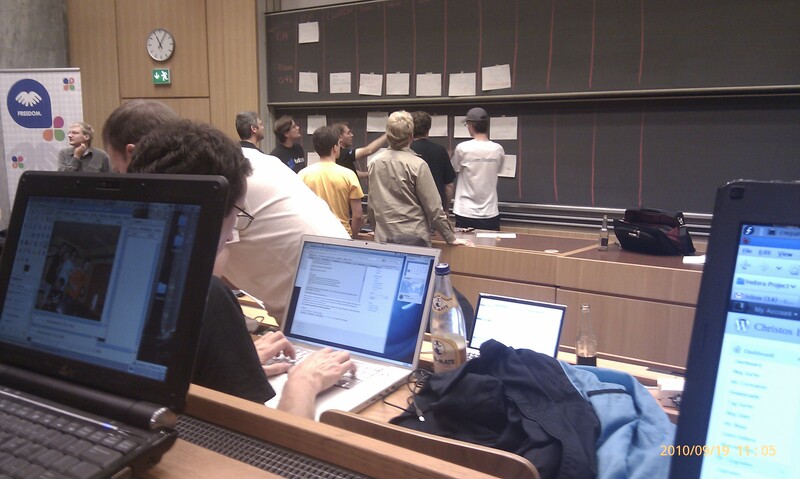 Day two was really interesting with a lot of nice talks and workshops. The day’ started with Jared Smith pointing out some enlightening points about Fedoras Future. Jared began his talk with a question about who we think is the worst enemy of Fedora. After some answers (Red Hat, Ubuntu) he answered “US” (not the country) trying to awake us (I guess)! Generally he tried to motivate Fedora people to ask more and more questions and discuss theirs thoughts / problems / ideas for making a more active, reliable and collaborative community! 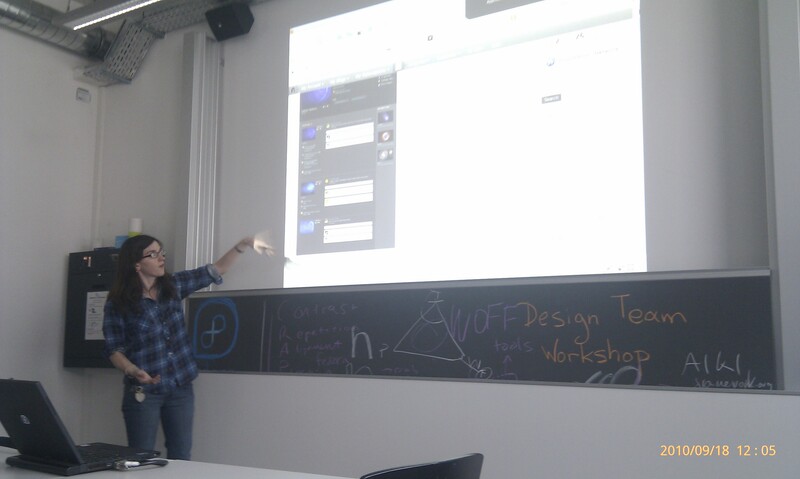 After Jared it was time for another wonderful workshop by Mairin Duffy about the Fedora Design team. Actually I watched the excellent job that the Design team is doing! Keep it up guys! After the lunch brake (thanks Nicu for *entertaining* us), Pierros Papadeas (my buddy) present us how the Design suite is created, entirely from scratch. He explained how livecd-tools are working, the structure of a kickstart file and finally, we had the chance to discuss which packages have to been removed or not from the Spin. I am really happy that I saw Gobby tool in action! It’s a pity that we don’t use it more often in talks and especially in workshops. It was time for a wonderful one hour talk from Tom Callaway regarding Legal and Licensing. Spot gave us some good examples of some Legal and Licensing cases over the years. Alright folks, the day was almost over and I say almost because in 7pm it was time for FudPub! The hole fedora team was having a dinner in a beautiful Italian restaurant near the EPH University. After an one hour walk in Zurichs downtown, taking a lot of pictures and pwning Nicu we headed back to the restaurant where the hole crew was waiting hungry, ready to eat and get drunk! 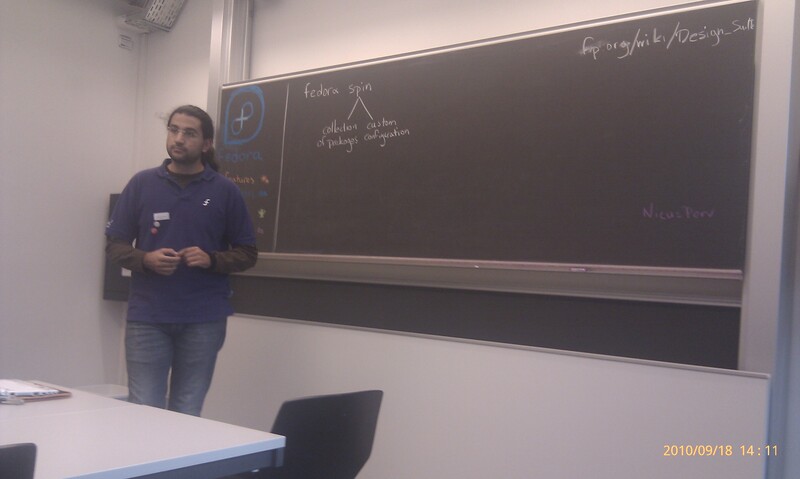 During the lunch we had some really interesting discussions where the closing of Fedora e.V. was a trending topic in my table. I have to admit that I am really unhappy and against the Red Hats decision to close Fedora e.V. despite the fact that this action was their only choice as Jared said. Moving forward, FudPub was one of the highlight moments of this FUDCon where I had the chance to meet more Fedora people and to discuss with Peter Robinson about how could I contribute in Sugar on a Stick and Education Spin. Sunday, FUDCons day three was a barcamp day without any fixed program where everyone was free to suggest his topic to bee discussed. After writing down the suggestions, everyone voted his favorite topics and finally we had a well organized and *voting* shared program. Unfortunately some of the topics were the same with FudCon’s talks or workshops. I say unfortunately because I did not see a lot of interest from the attendees in most of them. On Monday now we had scheduled to visit CERN in Genova. Because the train tickets were too expensive we (the Greeks) decided to rent a car and drive to Genova. Unfortunately the renting car company was opening after the time we had to leave from Zurich, so finally we stayed in Zurich. Despite that fact we had a great time exploring Zurich, having a ride with the boat, and having (for my first time) Suchi. Additionally we visited Googles offices where by accident we had the chance to see Google’s street view car from the inside (shh, don’t tell it to anyone!)! You can check all the photos from our trip visiting my picasa web album (more photos will be uploaded soon). I also am going to write a FUDCon recap blog post with some pros and cons from this event. Previous Post Nicu got PWNED!!!! 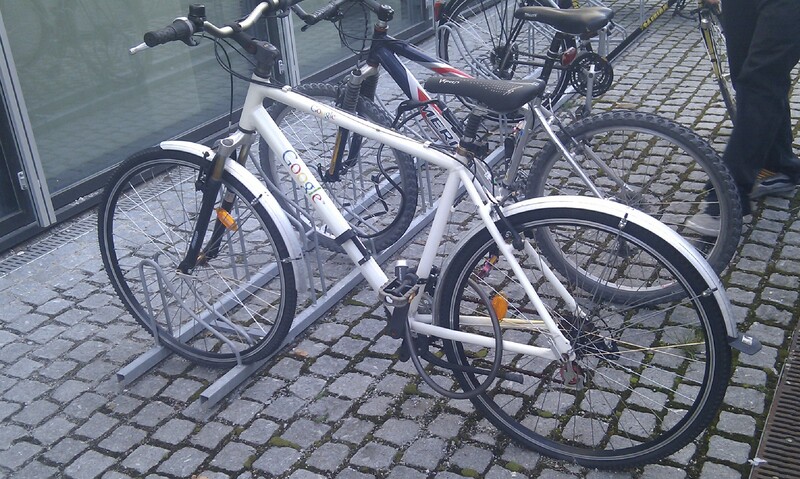 I have no opinion about Fudcon (I’m Ubuntistas) but the google bike ROCKS!!! Δεν έχω άποψη για το Fudcon (εγώ είμαι Ubuntistas) αλλά το google ποδήλατο είναι όλα τα λεφτά!! !